Considering starting a Speakers League club? Perhaps one of these describes you. Speakers League is a great fit for all of these types of organizations and individuals. This 37-page pdf is chock full of answers and inspiration to plan, promote, and launch your club(s)! Enter your contact info and we will email you the link to view and print your free pdf. You and your future members are in for a rewarding experience! Public speaking is a skill that is best learned by doing, and the Speakers League format gives members a chance to develop and improve their skills at every meeting. 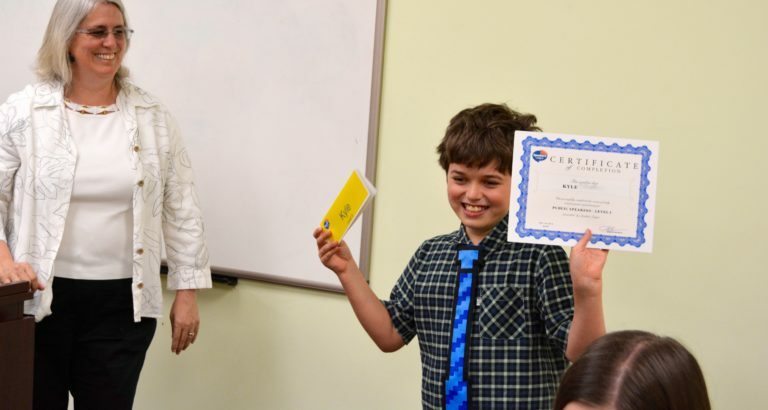 It’s kind of thrilling to see kids, new to public speaking, rise and speak on a topic without preparation (we call these Impromptus), present prepared speeches, and present evaluations of their peers. They become engaged and involved with the success of the meeting, taking on the varied roles, e.g. tracking the times of the speakers, counting filler-words, such as, “um,” “like,” and “you know,” selecting and presenting poetry, or jokes, or counting votes. At every turn, members take responsibility and stretch their abilities, and are rewarded for their effort and progress. We show you exactly how to make that happen. "Of all the activities we have attended, Speakers League is the wisest, most relevant, and all-around the best." We refer to the adult supervisor of the club as the “Chairperson.” Though ensuring the meetings are run efficiently and professionally always rests with you, the ultimate goal for the Chairperson is to have as little input on the meeting as possible, with the members running it from beginning to end with only light supervision from you. At the beginning, and until club officers are elected (generally, a few months into the club) you will manage the opening and closing of the meeting. After that, the Chairperson’s chief responsibility is to maintain proper meeting etiquette. The goal is for members to elevate their behavior to that of a business meeting, balancing enjoyment with seriousness. You will want to review the video or meeting handbook section on etiquette with your members. Reminders during meetings are sometimes necessary. 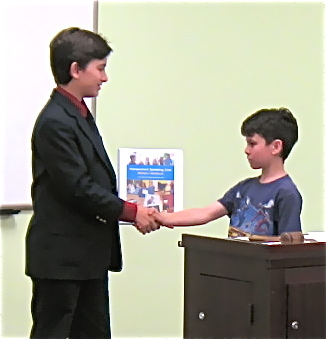 Many club chairpersons choose to complete speech evaluations (form available), and some even videotape and upload the speeches for members to self-evaluate. What's in the Getting Started part of the manual, that I can download for free? Click here to request “Getting Started” today! What's included in the rest of the operations manual? The Operations Manual is actually comprised of 8 parts. Part 5 – Forms, Etc. Click here to see the complete Table of Contents. What is a club charter, and what does it cost? For each Speakers League club you operate (and if you wish to conduct workshops), you must possess a valid Speakers League club charter. A charter is a $95 annually renewable license that gives you the right to use the Speakers League materials for one club, and/or to conduct any number of Speakers League workshops during the time you hold a charter. You also agree to our terms and conditions. A Speakers League Club is defined as a single group of students that meets on a regular ongoing basis and conducts Speakers League structured meetings. 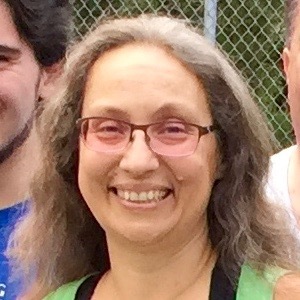 Workshops are defined as short-term trainings (usually 6-16 sessions) at which a new group of students typically enrolls for each workshop series. I'm not good at public speaking. Should I still start a club? This is a common question, so we made an entire section of our Operating Manual devoted to the first few meetings. We provide two pathways to launching your club. One pathway provides step-by-step lesson plans modules that you can implement over 3-4 meetings that will give you and your members a gradual, fun, and stress free introduction to the roles at a club meeting, techniques for Impromptus, a plan for preparing their first speech, and a foundation in how to effectively (and constructively) evaluate another member’s speech. The other pathway is to start with a full meeting. To do this, you will provide handbooks to members at least two weeks prior to the first meeting, have members review the meeting highlight video and protocol video, and pre-assign meeting roles, including speeches. What if I just want to do workshops? That’s fine. There’s a lot of flexibility in holding workshops around the times of year that work best for you. Some teachers opt to conduct workshops during summer break. Some people do weekend or after-school workshops. Our workshops work well for anywhere from 6-16 sessions. An ongoing club is more of a commitment of time, but can also have flexibility. For example, many clubs take the summer off. Others convene somewhat sporadically when holidays come around. You can adjust your schedule for your and your members’ particular needs. Do I have to be a school or business to run a club? No. A group of families can just come together to start a club or do a workshop. It is even up to you whether you charge dues at all, to cover your expenses. On a side note, we do not assist with business start up. We merely license our materials for your use, subject to our terms and conditions. How many members do you need to start a club or workshop? 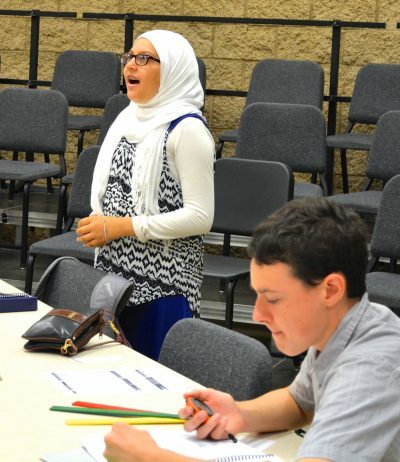 Clubs and workshops can operate with as few as six participants, doubling up on roles. A “micro-schedule” is available for these smaller clubs/workshops. Ideally, you will have 12-18 participants, making it easy to fill all the roles with little or no doubling of roles. Does my club have to meet every week? You determine your club’s schedule. Some clubs meet weekly, some twice a month, some once a month. A membership level of 12-20 can thrive on once or twice a month. A larger membership can do well with weekly meetings. It’s a matter of being able to fill your schedule and give everyone enough opportunities to do the roles and give prepared speeches. How old should members be? You will probably have the best results with kids aged 10-and-up, though serious-minded younger ones can have success, as well. We’ve seen them as young as six! What is the difference between a club and a workshop? 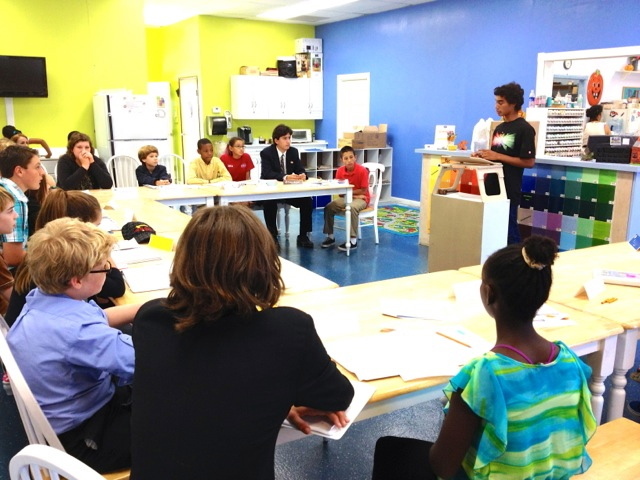 A Speakers League club is generally an ongoing group that meets regularly for a school year, or more. A Speakers League workshop is a short term group that meets for between six and sixteen sessions. The attendees generally participate in only one workshop. Some charter holders use workshops to recruit for their ongoing clubs. Others just run workshops and never start an ongoing club. It’s up to you! Purchase Club Charter and download manual. Determine meeting schedule and location. Get the word out about the club. Print out member handbooks and acquire supplies (e.g. stopwatch). "All I can say is WOW! I was so impressed with every aspect -- the kids, the speeches, the way the meetings are organized, the whole thing is totally superb. Bravo!!" Printing and copying costs for member handbooks, forms, etc. Typically, membership dues and materials fees offset these expenses. How many clubs may I operate? As long as you have a charter for each club, you may run as many clubs as you wish. You may operate as many workshops as you wish with a single, valid charter. Can I turn this into a business? Running Speakers League clubs can be profitable. The key is strong membership building and providing unquestionable value to your customers. Can I run a club as a non-profit? Of course! 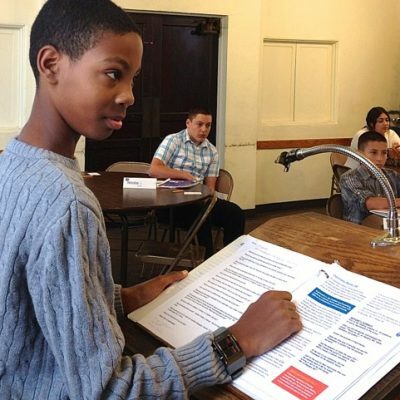 Helping children learn the skills of public speaking is a goal worth sharing. Many people want to help children, and if fundraising can help you offer this learning experience to more children, then this is a great approach. Non-profits often have greater (and less-expensive) access to room rentals, as well. Will I be granted an exclusive territory? We do not discuss territories until you have started and operated multiple clubs. Why would I need liability insurance? It is not unusual for meeting sites to require that you have liability insurance. If you or your organization already has such insurance, use that. If you do not have it, you may wish to contact your own insurance agent, or look into tutor/teacher insurance online. Where do I find a meeting room to use? Download “Getting Started” (Part 1 of the operating manual), at no charge, for more information on how to approach locations. The approach to the very first meeting depends on the readiness of your membership before day one. Ideally, before the first meeting, members will have had a chance, at home, to view our meeting highlight video (speakersleague.com/video) and to have reviewed their member handbook for information about their pre-scheduled role at the first meeting. However, if there has not been sufficient time for pre-scheduling, and such, our “First Meeting and Beyond” materials (Part 2 of the manual) offers an alternative – a step-by-step lesson plan that you can implement over 3-4 meetings to give you and your members a gradual, fun, and stress-free introduction to the roles at a club meeting, techniques for Impromptus, a plan for preparing the first speech, and a foundation in how to effectively (and constructively) evaluate another member’s speech. Within a few months, if not sooner, you can add in the roles of Club Officers who will take over the opening and closing of the meeting, among other things. Can I change the materials to reflect my company’s name? 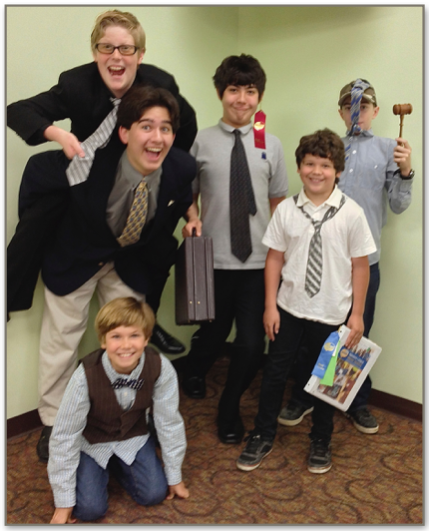 Most clubs include “Speakers League” in their name, such as “Norfolk Middle School Speakers League.” However, that is not required. You might prefer “Norfolk Communications Club,” or the like. You may not remove the Speakers League logos and replace them with your club or organization’s. For your club name and club logo, you may integrate the design with the Speakers League logo for your marketing and promotional materials. For more information, read Sections 26-31 on our Terms and Conditions page. Can I print the materials or do I have to buy manuals, etc? You may print out the materials as needed. Many charter holders choose to do this. You will receive an email about 15 minutes after you purchase your charter. It will contain your link and sign-in credentials for our “Chairpersons Membership Site” (CMS), where you can immediately download all of the parts of the manual. Do you handle finding members for my club? No. Membership-building is your responsibility, but our “Getting Started” section has lots of great promotional ideas to help you with this. You may also list your club on our Club Locator page. To be clear, we do not assist with business start up. We merely license our materials for your use, subject to our terms and conditions. How much do club or workshop members have to pay to join? It is entirely up to you. The Speakers League company does not receive any part of the dues you collect. Some charter holders wish to offer a free club to members. Others see their charters as a business from which to earn an income. Whether you have a profit motive, or not, we feel it is important to attach value to your club through some form of club dues. Most extracurricular activities cost parents $10 to $20 per hour per child. Depending on your location, clientele, and expenses, it is not unreasonable to charge between $10 and $25 per meeting per member. A modest dues structure might be $50 as a one-time-registration/materials fee and $30 per month for two meetings per month. Many charter holders offer financial aid for children that could not otherwise participate, but they also usually require that families make some contribution toward the dues. There is more information on this topic in “Getting Started,” our free download, available here. What kinds of speeches do members give? There are four Levels within the Speakers League program. To complete Level I, members must do each Club role at least once, and give the seven speeches outlined below. 1. Getting to Know You (4 – 6 minutes) The goal of the Getting to Know You speech is to share information about yourself so the audience gets to know you better. The primary skills emphasis for this speech is eye-contact. 2. Gestures (5 – 7 minutes) The goal of the Gestures speech is to use body language to help you communicate your message. 3. Vocal Variety (5 – 7 minutes) The goal of the Vocal Variety speech is to use power, pitch, pace, and pauses to add meaning and interest to your message..
4. Visual Aids (5 – 7 minutes) The goal of the Visual Aids speech is to use visual aids to help the audience members understand and remember what they hear. Popular visual aids include computer-based visuals, overhead transparencies, flip charts, whiteboards, and props used for demonstration. 6. Speaker’s Choice (5 – 7 minutes) The goal of the Speaker’s Choice speech is to demonstrate overall speaking skills. The topic is chosen by the speaker. 7. Speaking with Knowledge (7 minutes +/- 30 seconds) The goal of the Knowledge speech is to research an issue or topic and present a speech about it. The speaker should clearly demonstrate a competence in the skills covered across all Level I speeches. (The speaker should provide his/her MLA formatted outline to the Chairperson and Evaluator before the speech.) To be eligible for Level advancement, the timing of this speech must fall within the specified time frame of 7-minutes plus-or-minus 30-seconds. A signaling system is used to keep speakers aware of their time. Does the curriculum line up with common core standards? As it happens, yes. Within the English Language Arts standards for “Speaking and Listening,” our program meets all of the standards in the categories of “Comprehension and Collaboration,” as well as “Presentation of Knowledge and Ideas,” across all grades. 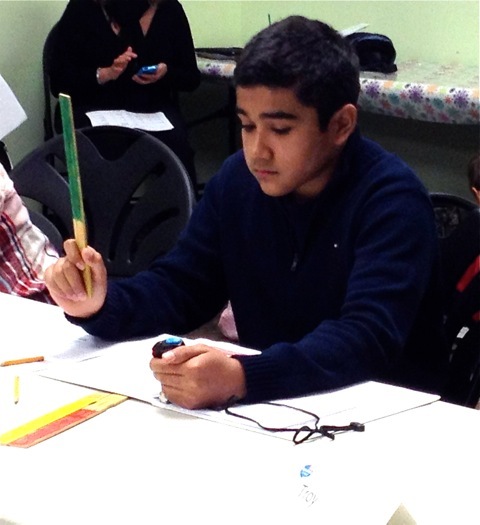 Click here for more details on the Common Core standards met by Speakers League. We provide complete phone and email support, and your Operations Manual is a step-by-step guide for you. 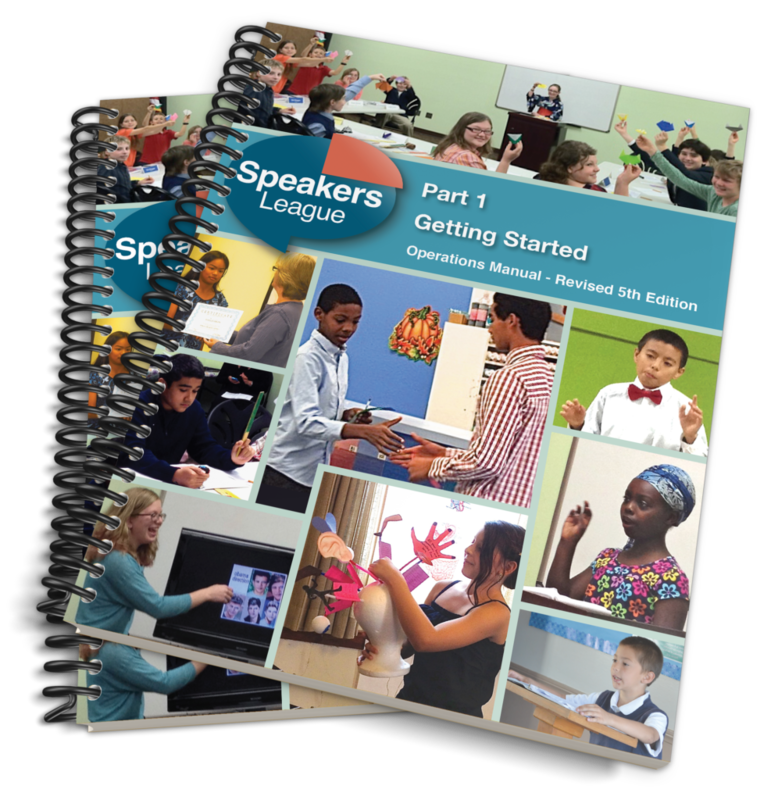 Whether you are a School Program, Youth Club, Tutoring Center, or homeschooling co-op, we provide all the tools and support to plan, promote, launch, and maintain your Speakers League Club.